This year we saw a record number of conservative, constitutional judges confirmed. For decades it has been central to the mission of the ACLJ to fight for the confirmation of constitutionally sound judges to the federal bench. This year the ACLJ fought vigorously to urge the U.S. Senate to swiftly confirm judges to the federal circuit and district courts. 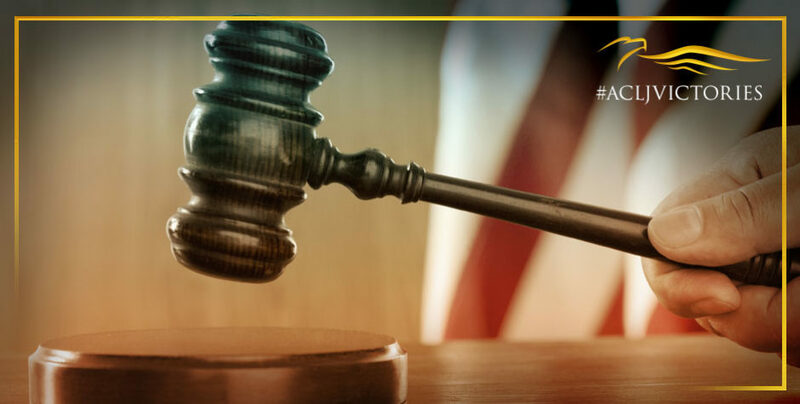 The legal battles we face – life, religious liberty, and free speech – will heavily depend on placing constitutionally-minded judges on the federal bench, and we have championed President Trump’s highly-qualified nominations. The Trump Administration has shown a serious commitment to nominating qualified, rock-solid conservative judges who have a deep-rooted commitment to preserving the original intent of the Constitution and upholding the rule of law. As 2018 winds to a close, Senate has confirmed a record setting 84 judges nominated by President Trump during the first two years of his Administration – 29 at the circuit court of appeals level and 53 at the district courts. In addition, we have successfully advocated for another conservative Justice. This year, Justice Kavanaugh was confirmed joining Justice Gorsuch on the Supreme Court. Your voice made a tremendous impact in protecting and shaping the laws of our country. Having consistent, conservative judges in place will shape the legal outcome of vitally important cases across our nation for decades to come. There are still many critical judicial nominations awaiting Senate confirmation, as these important seats remain vacant. The ACLJ continues to encourage the U.S. Senate to fully process all of the nominees before the next session of Congress begins next year. We must continue to urge the Senate to fully and expeditiously process and confirm these nominees for the good of our Constitutional republic.